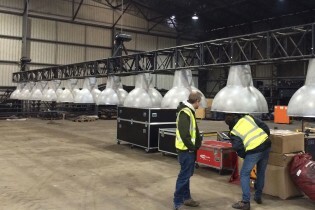 We created 26 industrial style light fittings for the 2014 UK Elbow tour across eight arenas. 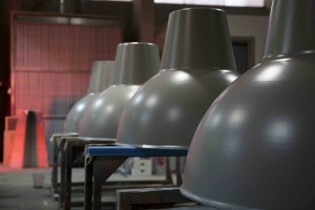 The oversized lampshades were approximately 1m in diameter and were used to deploy an element of playful surprise during the live shows. Suspended from truss at each venue, a kabuki drop mechanism released illuminated inflatable ‘lightbulb’ spheres at a pre-specified moment, creating lively interaction with the crowd. 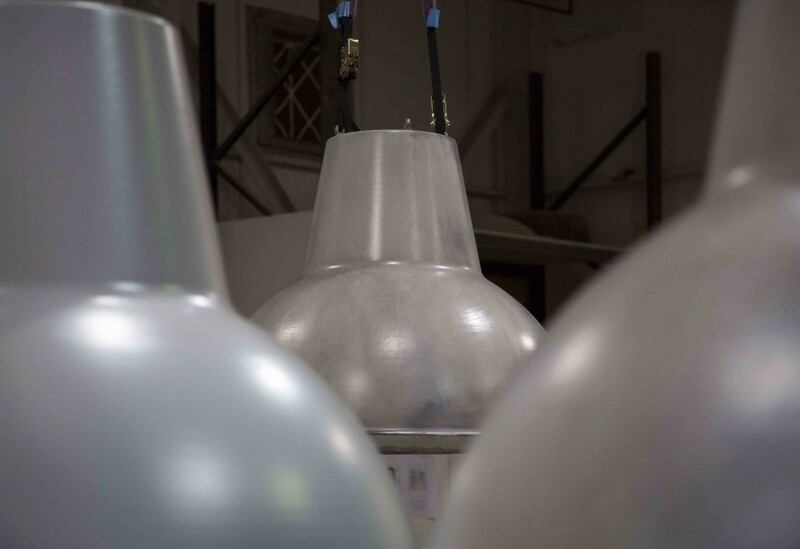 Designed and toured by NEWSUBSTANCE, we collaborated on the final specifications before manufacturing moulds to create the twenty-six units from GRP. These were then given the required industrial and distressed look. Working with the client, we also experimented with a range of drop heights in our test area.